How cute is this idea ? so simple to find an old dollhouse on a flea market ! 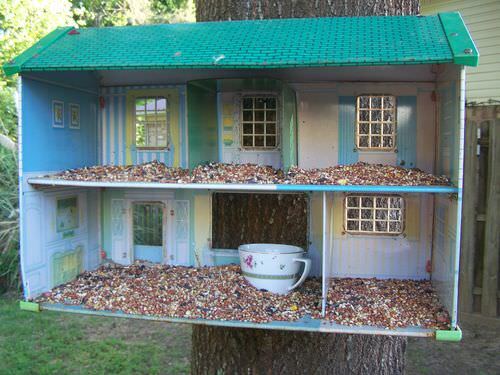 Or you can make one just for the birds ?